WELCOME: John Adams has been in town these past weeks, as good company as company can get. He came with some of his own music, which was wonderful enough. What’s more, at a Green Umbrella concert, the last of the season, he introduced two new, promising young composers, and surrounded their arrival with an excellent program-book essay on his hopes for music’s future. Next season he will be often at hand, enthroned in the Philharmonic’s newly endowed Creative Chair. His words and his deeds constitute an affirmation that the Philharmonic’s role in the advancement and enrichment of serious music will remain in strong hands. At the Green Umbrella there was something new by Adams to treasure, namely Son of Chamber Symphony which is, as the name whimsically suggests, a sequel of sorts, composed for the chamber group Alarm Will Sound. The whimsy lies in more than merely the title; this is a work of serious fun; the Mark Morris choreographed version is aptly titled Joyride. Bits and pieces from previous well-liked Adams works filter through the light-hearted texture. Michele Zukovsky’s solo clarinet gets a particular workout. I loved every note. Two composers made themselves known and admired under the Umbrella, their combined ages short of Adams’s but scarcely wet behind the ears. Two pieces by Tiimothy Andres, 24, shared a format: an ongoing musical narrative broken into by planned intrusions. The first, titled How Can I Live in Your World of Ideas? answered that question quite handily with an attractive pitched battle between a solo piano and an intruding percussion group. The second, Nightjar, also honors its namesake, a nocturnal insect given to chirps and pulsations. 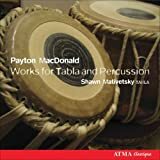 In between came Cowboy Tabla/Cowboy Raga by Payton MacDonald, 35, music also composed for Alarm Will Sound, created through manipulations on an acoustic marimba and also, says the composer, the result of an Idaho-born composer traveling halfway around the world. 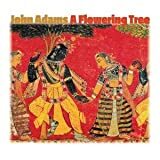 I had fallen for Adams’s The Flowering Tree in San Francisco, in 2007, and did so again at the Philharmonic concert a couple of days later.. Peter Sellars’ words — a haunting, evocative re-working of a heart-rending and -warming Indonesian legend, of lovers separated and rejoined, in a fairytale setting exotic and magical — have drawn from Adams some of his most powerful musical drama, exquisite, stirring, deeply throbbing. There was magic, too, in the Sellars production, capturing even on the defeating, blank surfaces of the Disney stage something close to the powerful drama of the story itself. Above the stage sat Grant Gershon’s Master Chorale, costumed as a living rainbow, hurling forth their commentary and participation in the drama. The three Indonesian scene-stealers were back with their phenomenal solo danceries; the trio of solo singers: Jessica Rivera, Russell Thomas and Eric Owens, were as splendid as before. Listen for yourself on the indispensable Nonesuch CD. SUNDAY BEST: Juan Bautista Sancho’s dates are roughly the same as Haydn’s. Born on Mallorca, he later set sail for Mexico. After a time of study, he moved northward, landing at Monterey in 1804. There he founded a choir and set about creating a repertory, some of which made for a delightful sampling by the adventurous forces of Martin Haselböck’s Musica Angelica at Santa Monica’s First United Methodist, to start an uncommonly busy Sunday. The music – a motet and two movements of a Mass – was sweet, tuneful, and very much worth exploring. I hope there’s more. The program also included some genuine Haydn, a ravishing concerto for violin, organ and strings and a setting of Salve, Regina, stern and dramatic. I hope there’s more of that, too. Eastward, thence, to UCLA’s Royce Hall and the season’s final concert by the L.A. Chamber Orchestra, this one less worth writing home about than most in the series. Somehow, LACO’s record at new-music unearthing or commissioning has never been one of its strong points. This latest venture, a half-hour of drab modernist cliché titled Radiant Mind, supposedly Buddhist-inspired, commissioned by Sound Investment from the prolific American composer Christopher Theofandis is, I regret to report, the latest in a poignant succession of truly uninteresting LACO commissions extending many years back in our time together. Schumann’s Piano Concerto ensued, music I have no difficulty identifying as perfect, even – as in this instance – with those priceless notes sort of hammered into place with the mechanistic acumen of a Jonathan Biss and not much more. Then Westward once again, to the precincts of the excellent Broad Stage on the Santa Monica College campus. There the visiting maestro Kent Nagano had assembled a truly weird program including something-or-other by Stockhausen for solo bassoon performed by a musician in a trained-bear suit, other music no less fascinating and involving in performance a pair of Inuit throat-singers and, to cap a most diverting day of musical serendipity, a perfectly fine production of Stravinsky’s A Soldier’s Tale, Nagano conducting, in a staging by Hollywood’s own William Friedkin. That’s the way it should be. This entry was written by Alan Rich, posted on May 20, 2009 at 12:38 am, filed under soiveheard.com. Bookmark the permalink. Follow any comments here with the RSS feed for this post. Both comments and trackbacks are currently closed. The solo clarinet part in Adams’ “Son of Chamber Symphony” (as well as in other pieces on that program) was performed by Lorin Levee. The Philharmonic’s other principal clarinetist Michele Zukovsky did not participate in that concert at all. And neither did her clarinet. Sorry to bring private business here; but I emailed to ask if you got the “American Mavericks” file O.K., and you did not respond. I really enjoyed reading these reviews! It should be very interesting and exciting to see what John Adams does at the new Creative Chair of the LA Phil next season. If these two concerts are any reflection of what is to come, I think we are all in for a real treat. Credit really does need to be given where it is due, however. Lorin Levee played spectacularly in not only this green umbrella concert, but every single other green umbrella concert I was able to attend this season. Thank you, Alan – it means a great deal to me that you liked my modest contribution to what was previously supposed to be an all-Dvorak program and i appreciate the complimentary words. Your description of Schubert’s sonata is, as always, eloquent and a pleasure to read.